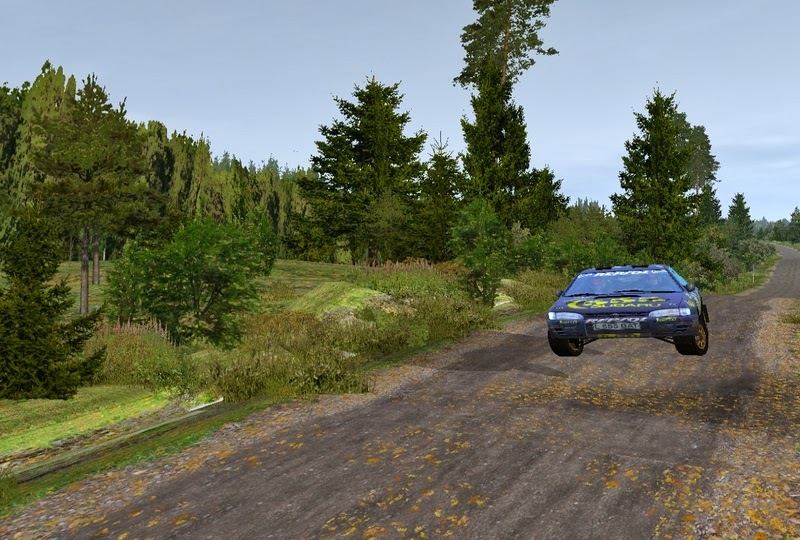 SSTF test drivers have drove the stage at middle of autumn leafs. Driver: SAIKKELI with N4 group car: "Feeling to the road was comfortable and realistic. Bumbs and jumps keep the concentration at dynamic driving. Autumn textures are candy for eyes. Stage lenght is optimal." It is a nice special stage, no doubt about it. However, I do believe it's ill-advised to translate any stage names for international distribution. This particular stage is already known as Kullilampi at RBR+. Not saying that readers' heads will explode because of the sheer confusion or anything, but it's all rather pointless, isn't it? And besides, I'm not sure what to make of the translation anyway, since "a lake" is not "a pond". Perhaps it is intentional and I'm just nitpicking, but who knows? I don't. I saw that time is right to create this blog. Many others have present usefull blogs and news feed. Now is SSTF turn.